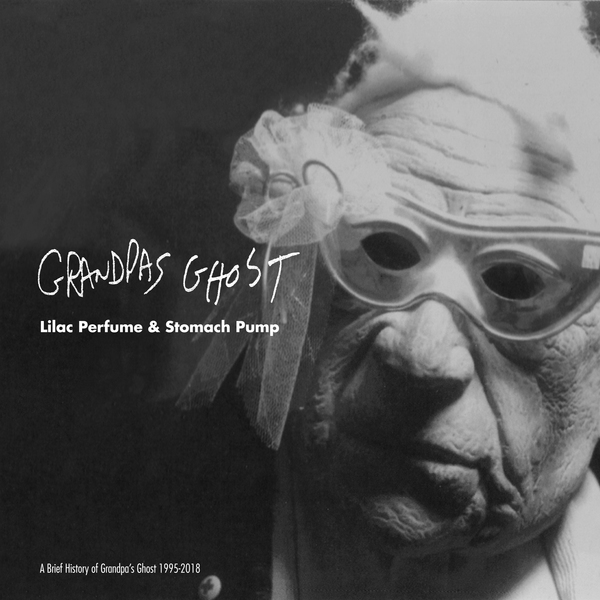 "Lilac Perfume & Stomach Pump" is a career-spanning retrospective that plots Grandpa's Ghost's singular, eclectic path over 23 years and 12 albums—several of which are multi-disc sets. Each stage of the band's prodigious output is represented—the skewed country rock of their first three albums, the deeply fried psychedelia of the Upland years and the sonic experimentation of their work with filmmaker James Fotopolous. Last year's sprawling releases from "The Carnage Queen"/"Country of Piss" sessions brings things up to date. The compilation also features two previously unreleased songs, "Flowerland" (from the band's yet unissued soundtrack to Fotopolous' "Alice in Wonderland" film) and "Dance of Death Blues".